Washington, DC – In light of recent revelations that Planned Parenthood Federation of America (PPFA) apparently sells baby body parts—lungs, livers, hearts—for profit, alters their abortion procedures to ensure such fetal parts are kept intact following an abortion and has harvested the organs of babies with beating hearts, U.S. Representative Randy Hultgren (IL-14) hailed the introduction of Illinois HR 0671, a resolution pushing the state to investigate Planned Parenthood and its abortion procedures. Introduced by State Representative Jeanne Ives (R-Wheaton), HR 0671 urges several Illinois agencies to investigate Planned Parenthood's procedures for abortions, obtaining informed consent, and sale or donation of human fetal tissue across the State and to investigate which organizations across the State are involved in purchasing or accepting human fetal tissue from Planned Parenthood. At the national level, Rep. Hultgren has joined his colleagues in urging the Department of Justice (DOJ) to conduct “an immediate and thorough investigation into the practices of PPFA regarding the sale of fetal body parts.” Further, he has cosponsored H.R. 3134, the Defund Planned Parenthood Act of 2015, which would place an immediate moratorium on all federal funding of Planned Parenthood for one year while Congress conducts a full investigation into the organization’s questionable activities. 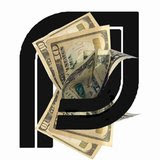 Planned Parenthood receives more than half a billion dollars from U.S. taxpayers and performs more than 350,000 abortions every year.